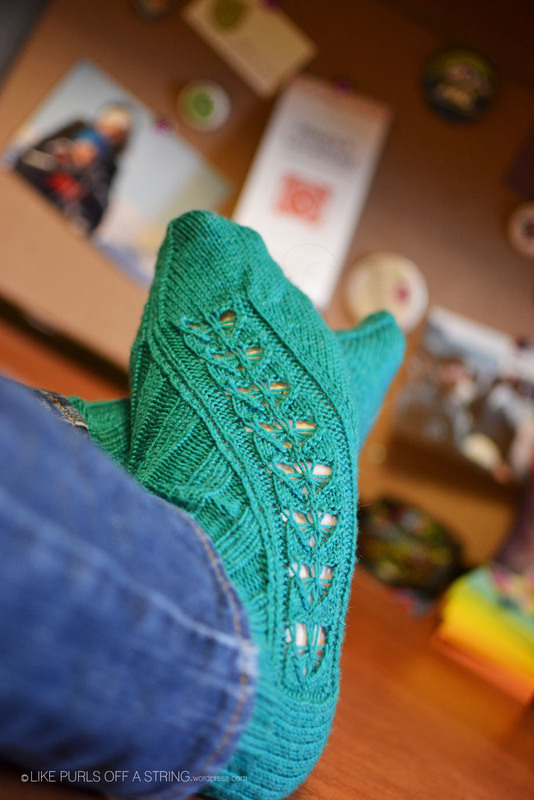 I finished my Kai-Mei socks last week and just got around to washing and photographing them this afternoon. I love how they turned out! 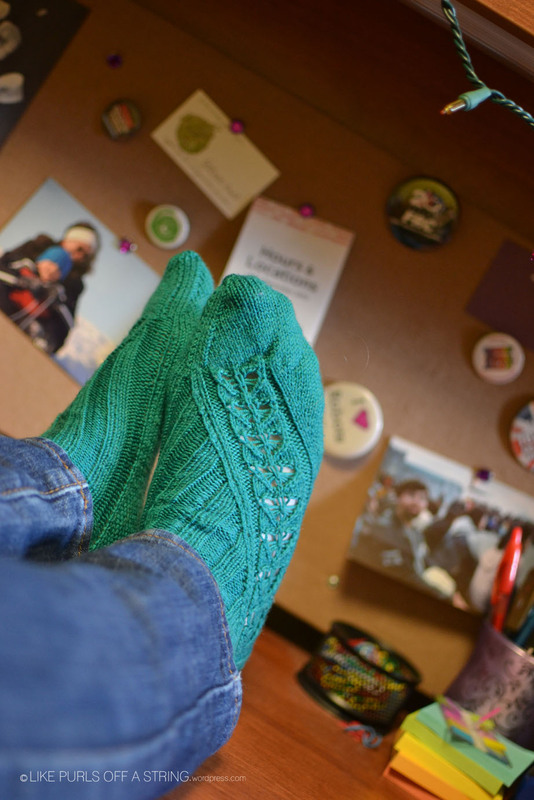 I also realized that despite having had multiple stashes of Cascade Heritage Sock, this is actually the first pair I have finished in this yarn. I have been wearing the socks all day and the yarn is heavenly. 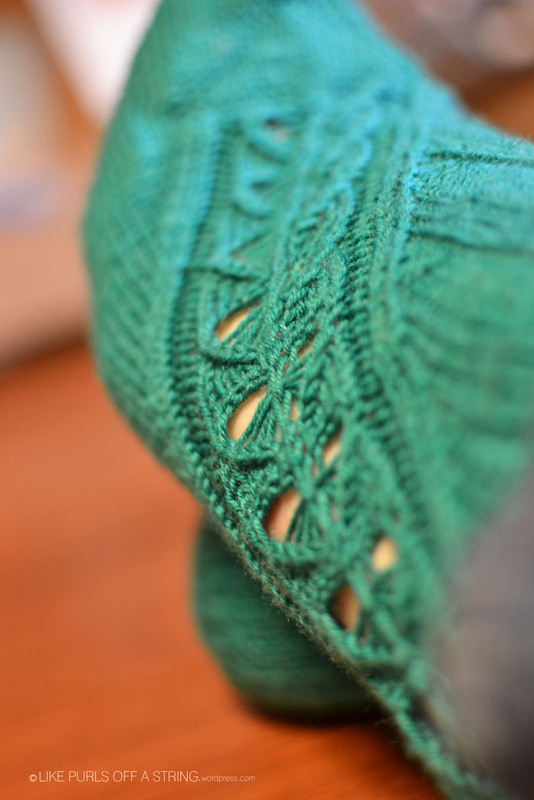 So nice to work with and to wear… I’m happy that I have 2 more skeins left! See them on Ravelry here. Linking up with Pinworthy Projects today. These socks look lovely! 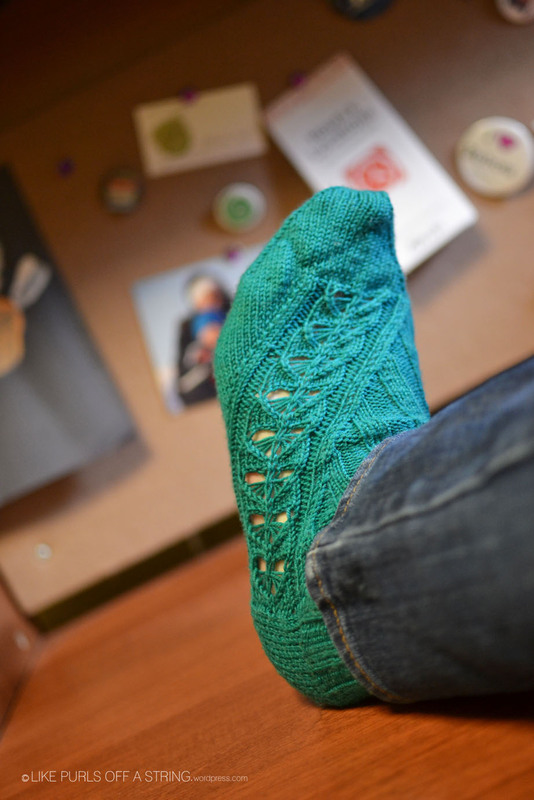 I really want to have a go at knitting socks! Hi Hannah! They are actually pretty easy… give a try, it’s loads of fun! Thanks and have a great day! Ooh I might have to have a go then! You too! Lovely socks – great colour and unusual design. Thanks! That’s what I love about Cookie A’s designs- so beautiful yet simple. So is that a recommendation? I’ve not tried any of her patterns (I’m still a novice sock knitter) but they do look good. Yep, I’d definitely recommend her patterns! I have one of her books, Sock Innovation, but she also has a bunch of independently published designs. They’re all really pretty and super well written- each step is clearly explained.